It's sandpaper on a stick! Clean your blending stumps with ease using our convenient little tool. Several mini sheets of sandpapery goodness are attached to a wood board with handle. When you've finished the top sheet, simply rip it off to reveal a new one underneath. 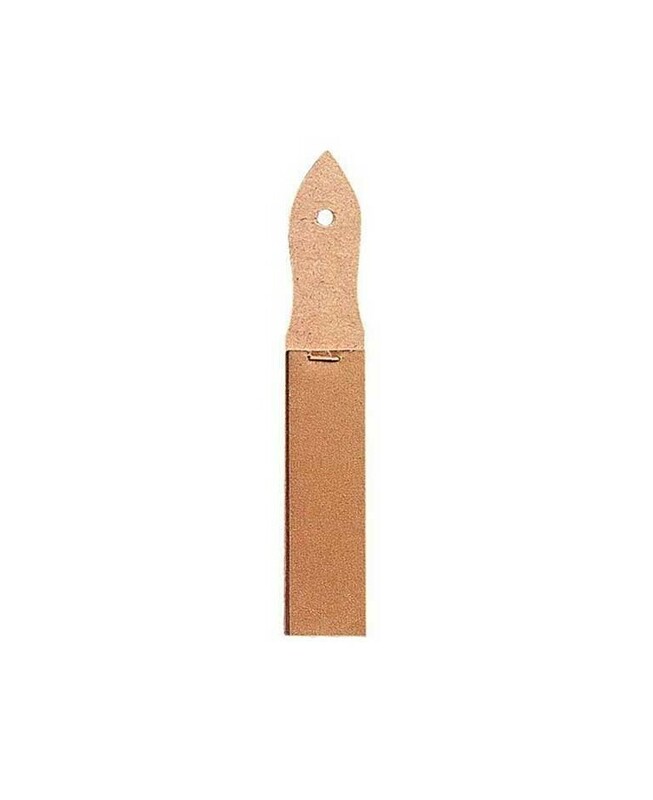 Sure, you can use an emery board or regular sandpaper on your stumps...but this inexpensive gadget is the perfect size for popping into your tool bag. Twelve sandpaper sheets, each measuring 1" x 4". Repoints tortillions, blending stumps, pencils, leads, charcoal, and crayons.